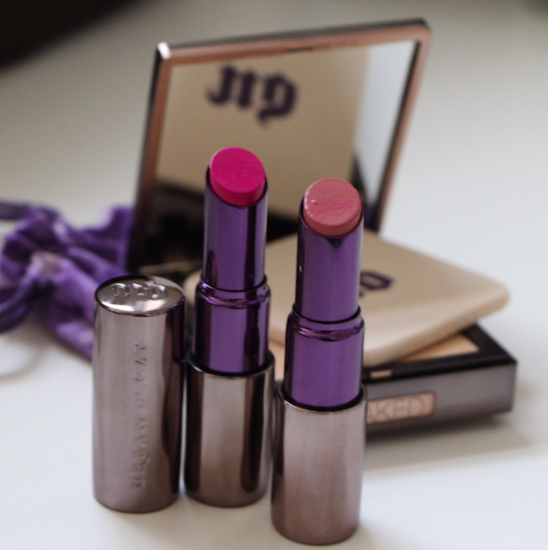 The new Revolution lipsticks from Urban Decay are just absolutely gorgeous. I know that most beauty brands are intent on formulating the ultimate “long-wearing-yet-ultra-moisturising” lipstick but I really do feel that Urban Decay are near to the winning line with this range. All of the twenty-two shades are soft, moisturising and glide on easily, yet they still manage to be very pigmented and non-slip. The Revolution lipsticks show above are Anarchy and Naked. You can guess which I’d wear the most, though I have to say that the bright fuchsia on the left is incredibly flattering… I’ve seen a few swatches and pics floating about the internet and there are at least ten different shades that I’m totally in love with – not that I need any more makeup – including Liar, F-Bomb and Bang. I have a feeling that the Revolution lipsticks will be incredibly popular – great quality and well-priced at £15 each. You can find the new Revolution lipsticks at HQHair or LookFantastic online. Let me know which shades you like the look of! Previous Post How to Concentrate and Get Things Done.